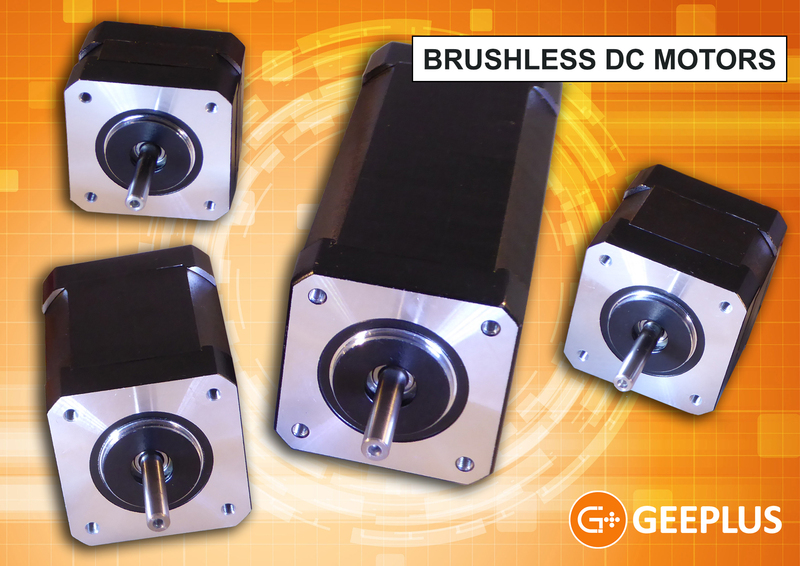 Beckenham, United Kingdom – A new range of four dc brushless motors from Geeplus provides a direct replacement for 42mm NEMA size 17 devices which have similar applications. Although physically compatible with a stepping motor of the same size, the Geeplus alternative provides higher speed and higher reliability. With high starting torque, faster acceleration and deceleration for speed and position servo applications, the motor produces less heat and noise through the elimination of ionizing spikes from brushes, which makes it suitable for use in a number of sensitive applications such as medical equipment. Other applications include linear and servo motors, actuators for industrial robots and feeder drives. Using Hall sensors for comotation, the motors are currently available in four standard sizes, but other versions can be manufactured to specification. Geeplus is a worldwide leader in the design and manufacture of precision electromechanical actuators. You can find Geeplus online at www.geeplus.com, as well as on social media on LinkedIn, Facebook, YouTube and Google+. For more information, feel free to contact us, or simply fill in the brief form below!